The director Julian Schnabel reinterprets the last days of the post-impressionist painter before his death, focusing in thoughts and sensitivity of the artist about the nature and content of his pieces. 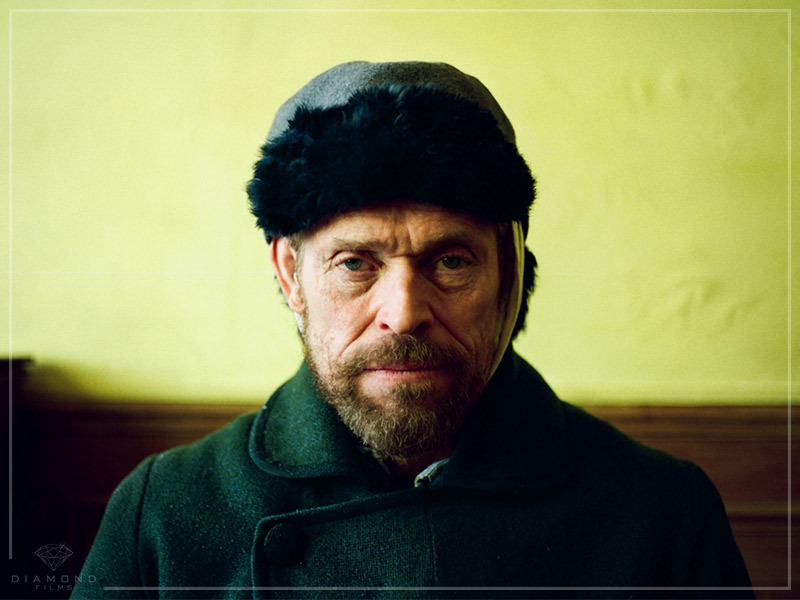 This leading role meant the actor Willem Dafoe to win the recognition as a Best Actor in the International Festival of Cinema in Venice, and a new nomination for the same category for the Oscar. The story of Vincent Van Gogh seems never to end, neither in his paintings nor in other expressions such as television or cinema. Different films have told the stormy life of this misunderstood artist, imprisoned by his own demons and insecurities and valued by the artistic world after his departure. However, Schnabel’s film seeks to give another twist to this story known by many, but felt by few, exploiting tools more sensory than textual. Rescatando pasajes de su vida al sur de Francia en 1888, vemos a Van Gogh (Willem Dafoe) en la aventura de buscar nuevas fuentes de inspiración para sus cuadros. Colores brillantes y trazos decididos definen su material más conocido de este último periodo, como la serie de pinturas Sunflowers (1888) o The Starry Night (1889). No obstante, Vincent batalla constantemente con la crítica y con sus mismas ideas y emociones desbordantes, aislándolo de la realidad. Schnabel delves into those feelings and thoughts that marked the painter’s stay in the city of Arles. He does not follow a linear narrative: reality and visions of the artist, discourses about his own existence and encounters with his brother Theo (Rupert Friend) and his colleague Paul Gauguin (Oscar Isaac) are constantly mixed. Through a subjective camera, documentary type, the filmmaker Benoît Delhomme pursues Van Gogh in his wanderings and in his long walks in the countryside, as if it were his shadow. There are also scenes without cuts and close-ups of the characters, giving the impression that we are also there, in their little yellow room or in the hospital. 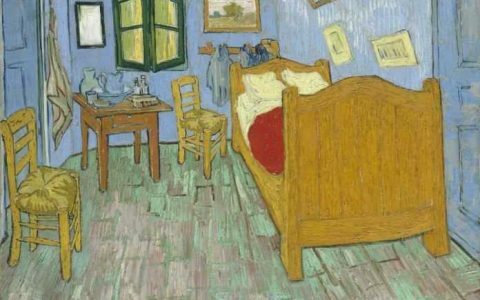 In addition to remembering historical data, Van Gogh: At Eternity’s Gate addresses more reflective and philosophical aspects of the painter, his creative process and the sacrifices he had to make to create part of his most famous works and try to be respected by your peers It goes through the enigma and the mysteries of that man who seems to have been born in the wrong time, who lived in poverty and whose only companions were his brushes, canvases and paintings. The scene between Vincent and the priest of the monastery (played by Mads Mikkelsen) is essential to try to understand the mind of this artist, his ambition, his fears, his stubbornness and his eternal admiration for nature and art. Because all that and more is Vincent Van Gogh, a martyr who defended until his death about 900 paintings and 1600 drawings, works that will be reborn day after day, for the rest of eternity, through his legacy. 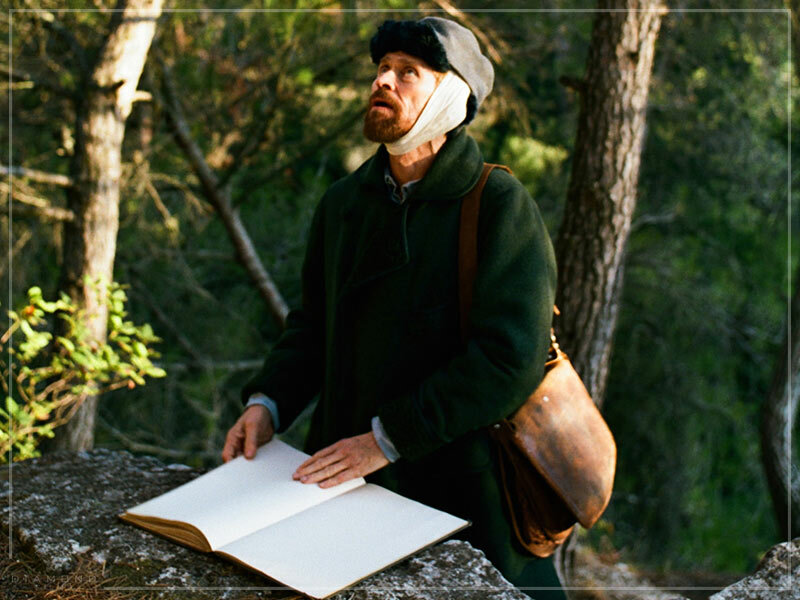 Van Gogh: At Eternity’s Gate is available in Cine Hoyts and its headquarters located in the east Santiago.